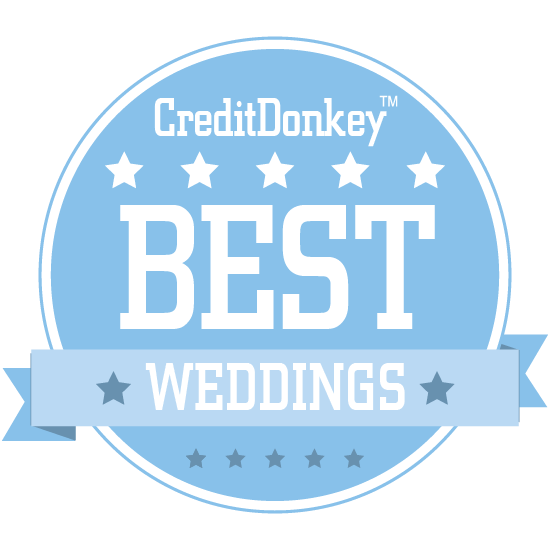 Winners of the CreditDonkey Best in Weddings have been announced. Set yourself up for the most special of days with the best new wedding apps and services. In some ways, planning for your special day is easier than ever. There's no shortage of ideas, services, and apps that can help you have a seamless experience from the moment you get engaged to the moment you walk down the aisle. Unlike brides and grooms of the past, you can easily order your invitations from your phone, find local, quality vendors in minutes, and rent bridesmaids dresses instantly. But with all the plusses modern technology brings to the tradition of marriage, it also brings work - with so many companies and services vying for your wedding-planning attention, which ones are worth your time? Save what little time you have for planning out your day - and use our list of the Best in Weddings to get connected with the latest and best apps and services you need. 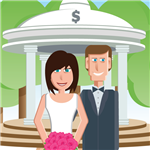 At CreditDonkey, we're passionate about helping couples spend their money wisely when it comes to one of the costliest events - their wedding. We don't want you to start out your marriage head over heels in debt! The best wedding providers provide you with quality products and services, and will put you in touch with vendors (like musicians and dress providers) so you can easily comparison shop and ensure that you stay within your wedding budget. Mazel Moments offers planning services for bar and bat mitzvahs and Jewish weddings in New York City, New Jersey, and Connecticut. Why Mazel Moments is a Top Wedding Innovator: With a huge list of venues, caterers, vendors, rabbis, and more, this site makes finding the right elements for your event easier than ever. They also offer a free - and exhaustive - list of tools and resources that will be invaluable as you plan your big event. Lovepop creates bright, colorful, fun pop-up greeting cards for just about every occasion. Founders Wombi Rose and John Wise launched Lovepop out of the Harvard Innovation lab in 2014, and have since gained the confidence of professional investors. Why Lovepop is a Top Wedding Innovator: If you're looking for the perfect wedding invitations, this company will work with you to design a beautiful custom pop-up card. 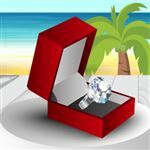 Beyond that, they have hundreds of designs to choose from for birthdays, anniversaries, Valentine's Day, and more. 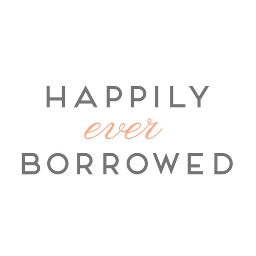 Happily Ever Borrowed is an online wedding shop that rents designer bridal accessories worldwide at a fraction of retail prices. Founder Brittany Haas has experience in planning, merchandising, and buying for Ralph Lauren, Saks Fifth Avenue, Hermes, and Chanel, and launched Happily Ever Borrowed in 2012. Why Happily Ever Borrowed is a Top Wedding Innovator: Featuring partners like Enchanted Atelier and Elizabeth Bower, their affordable selection of veils, tiaras, and jewelry will be the perfect finishing touch on your wedding day look. If you're having a hard time selecting the perfect accessories, you can try their ""Send Before You Spend Box"" and get three accessories to try on before committing. Vow To Be Chic allows users to rent designer bridesmaids dresses starting at $69. Founder and CEO Kelsey Doorey, herself a six-time bridesmaid, created this company so bridesmaids didn't have to spend a lot of money on a dress they would only wear once. Why Vow To Be Chic is a Top Wedding Innovator: Bridesmaids can choose from hundreds of styles, pick the best ones, and receive two sizes two weeks before the wedding, ensuring a great fit. This company also rents out pre-wedding "little white dresses" for brides and offers dresses, accessories, and more for sale. Still White connects brides-to-be with women who are selling their second-hand wedding dresses for big savings. There are over 22,000 dresses currently for sale. Why Still White is a Top Wedding Innovator: With their platform, it's easy to chat privately with a seller without exchanging personal details. Every purchase can be paid for securely and is fully guaranteed by Still White to be up to their standards, so you don't have to worry about getting a dress that won't work for you. Sellers have already earned $12,000,000+ USD through Still White with $500,000+ USD worth of dresses sold every month. 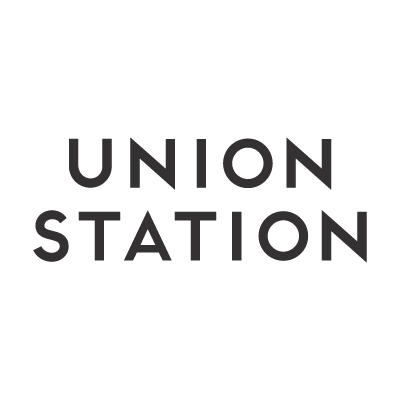 Union Station is a startup that rents bridesmaid dresses, which will help cut costs for your bridesmaids and provide more flexibility. Founder and CEO Corie Hardee's mission is to make it easy, efficient, fun, and affordable for anyone to have a wedding packed with personality and style. Why Union Station is a Top Wedding Innovator: With this company, your bridesmaids won't have to pay crazy prices for dresses, and you won't have to sacrifice high quality for a lower cost. Not only will this company find your bridesmaids the perfect dress, they vow to do everything it takes to ensure that each of your bridesmaids' dresses has the perfect fit, too. Bloomerent lets you save money by sharing your floral centerpieces, even as you work with top-rated florists. Company co-founder Danit came up with the idea for Bloomerent while planning her own wedding, and worked to eliminate the waste of throwing out flowers after a single five-hour event. Why Bloomerent is a Top Wedding Innovator: All you have to do is find your florist on Bloomerent.com, work with them to design your centerpieces, and then your florist will list them online, allowing others to opt in on sharing those centerpieces when you're done with them; for each opt-in, you get 10% back. If you're the second event, you can select pre-styled centerpieces for as much as 60% off. 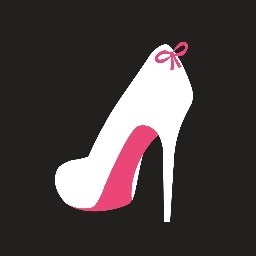 Brideside aims to make bridesmaid dress shopping easy by providing three convenient ways to shop. Co-founders Sonali Lamba and Nicole Staple both have plenty of experience in the stressful art of bridesmaid dress shopping and set out to make it easier for women everywhere. Why Brideside is a Top Wedding Innovator: Parties can visit a showroom in one of 4 cities, connect with a style consultant and have dresses shipped to the bridesmaids' homes, or shop online and coordinate looks with the rest of the party. With over 350 styles from some of the world's top designers and fashion professionals on hand to help, this is one of the easiest available ways to find the perfect bridesmaid dress. 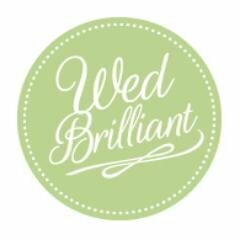 WedBrilliant lets couples plan their wedding their way by posting their needs and allowing vendors to make bids, helping couples find the right vendor at the right price. Founder and CEO Melissa Wilmot planned her own wedding 12 years ago, and, using what she learned, designed WedBrilliant to make the experience easier for couples like her and her husband. Why WedBrilliant is a Top Wedding Innovator: You can also read reviews of vendors in your region from other clients, so you can be sure you're getting great quality at a great price. 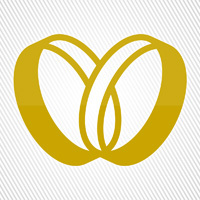 For vendors, WedBrilliant offers an opportunity to connect with new clients and broaden their customer base. Glo offers users highly customizable email wedding invitations, wedding websites, and online RSVPs and guest list management. Founders Taryn and Enrico combined their skills of wedding expertise, customer service, and business acumen to create a company that can make any couple's wedding planning easier. 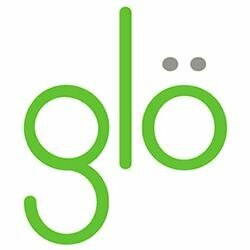 Why Glo is a Top Wedding Innovator: Everything they offer is designed to be easy to use and attractive; their e-vites will set the tone for your celebration. Best of all, you won't have to go through the stress of getting paper invitations together and keeping track of incoming RSVPs. 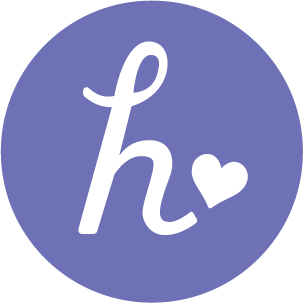 Heartful.ly aims to take the guesswork out of charitable giving on your wedding day, providing elegant registries, real-time donation tracking, and a list of vetted charities to choose from. Founder and CEO Kate Glantz served as a Peace Corps volunteer in Tanzania, and her experience there inspired her to help couples give back on their wedding day. Why Heartful.ly is a Top Wedding Innovator: With their platform, it's simple to craft a customized online registry with photos and a personalized message to your guests. Then, you just need to select a charitable project, share your registry, and use their tools to track donations as they come in. Plus, the donations are tax-deductible to the gift giver. BrideRush works to craft special deals and low prices from vendors and venues on open dates so you can save big by booking them. 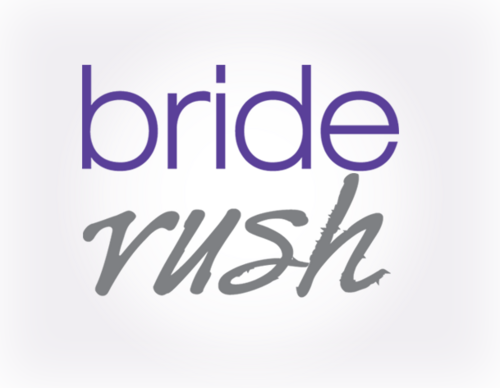 Why BrideRush is a Top Wedding Innovator: All you have to do is enter your wedding date, location, and what type of vendor you're looking for, and they'll show you a list of available deals. You can even request the deal for a different date if they don't have the one you need. 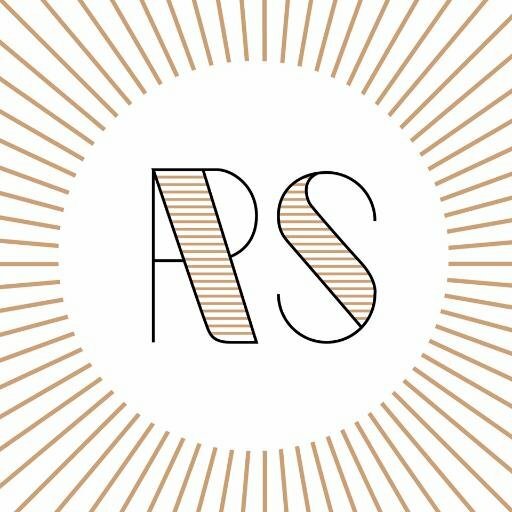 RockSugar is a wedding event for the Detroit metro area that connects couples with independent small retailers, so they can plan a true indie wedding together. Why RockSugar is a Top Wedding Innovator: If you're getting married in the Detroit area and want to trade big box stores for a bespoke wedding, RockSugar is for you. Not only does attending this event help you plan your wedding, but it will also help you feed into the local economy by introducing you to small businesses. Thankful Registry offers up an open-source, all-inclusive registry that lets users add items from any retailer, in any currency, for a one-time $30 fee. Founder Kathy Cheng grew tired of other registries' tiny images and shopping list layouts, and set out to create something worthy of the thousands of thoughtful wedding gifts exchanged every year. Why Thankful Registry is a Top Wedding Innovator: This is an advertising-free platform that's flexible for guests too; you can suggest a certain retailer, but they can purchase items from the retailer of their choice. Once the big day has come and gone, Thankful Registry allows you to keep your registry and transform it into a holiday wish list or baby registry. Envelope transforms the awkwardness of asking for a monetary gift from your wedding guests into ease by transferring the cash they contribute to items on your registry directly to you. Why Envelope Registry is a Top Wedding Innovator: It's easy (and free.) to create a beautiful registry, and after you publish it and invite your guests, Envelope collects contributions and transfers them to you on a weekly basis. Once everything's done, they give even give you a list of guests and everything they contributed so you can send thank you cards. Chops is a live music event service for Colorado that makes it easy to find the perfect live band for your wedding day. Why Chops is a Top Wedding Innovator: Colorado couples can select from a highly-curated roster of talented musicians for their big day. Chops will even work with you to find the perfect style of music and organize all the details around the performance. 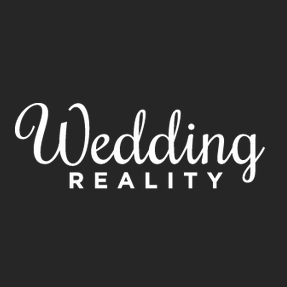 Wedding Reality is a simple app that allows brides to virtually create and try on their dream wedding dress, then save and share it so they can make it a reality. Why Wedding Reality is a Top Wedding Innovator: Finding the perfect wedding dress is one of the toughest parts of planning any wedding, but this app lets brides design theirs from scratch with unique technology. All you have to do is upload a photo, and you can start playing around with over three hundred dress combinations and try each on virtually. BASHelorette is a bachelorette party planning service that makes planning the perfect party simple, streamlined, and most of all, fun. Why BASHelorette is a Top Wedding Innovator: Just select your city and choose from lists of accommodations, dining, nightlife, spas, activities, and transportation. Once your getaway is planned, it's a snap to create and share an itinerary with the whole group. WeClickd is a site that makes it easy to find everything you'll need for your wedding day, from vendors to stationary to styles and beyond. Why WeClickd is a Top Wedding Innovator: Doing the research to find everything you need for your wedding can be a lot of work, but this site's comprehensive guide and search functions make it simple. 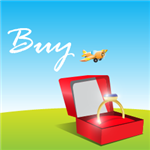 You can even enter your location and see an instant list of wedding vendors, jewelers, and more in your area. Felt is an app that lets you design and hand write cards on your device, which are then printed and sent to the people you choose. Why Felt is a Top Wedding Innovator: This is a perfect app for couples looking to add a the personal touch of their own handwriting to their post-wedding thank you cards without spending hours writing and sending them. Every card is printed on premium paper and mailed out within 24 hours, making it a perfect marriage of quality and convenience. A. Vision Studios is a Toronto wedding a videography service that prides itself in capturing the fine details of life's most precious moments. Why A. 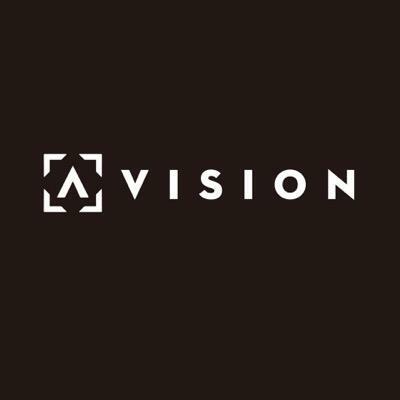 Vision Studios is a Top Wedding Innovator: With expert design and an eye for detail, they create timeless, professional wedding portfolios that their clients will cherish. Their professionally trained photographers excel at creative storytelling with an eye for traditionally beautiful wedding photography, making them an excellent choice for any Toronto area wedding. Share on Facebook "Best in Weddings"